These Tarot Card Reading Instructions are designed to give you an overview of the process for a typical reading. Of course all readers have their own style and method. I'll give you give you a few examples and situations as I would perform them when reading for a client. However what works for you is what you should follow as each reading is a highly intimate association between you and your client. Some readers like to surround their readings in mystique and symbolism and for others it is simply a straight forward casting of the cards. I preferred for lighting to be a little on the low side to make aura reading easier. Also I always recorded each reading and presented the client with the tape (later a usb flash drive) for future reference. Many (most) readers keep their tarot deck wrapped in a cloth which usually doubles as a tablecloth whilst reading. Unwrap the cards and lay the cloth out on the table. Pick up the cards and shuffle thoroughly. Because the cards are usually on the large side, it may help to shuffle end on rather than side on. I like to be sure that the cards are all right side up, and keep them that way unless a subject hands them to me reversed. Hand the deck to the subject and ask them to hold them for a minute or so. We want the deck to reflect their vibes. (This is sacrilege to some readers as they allow only their own touch on the cards.)! When I receive the deck back, I hold it for about 30 seconds or so to see if I can obtain a psychometric* reading from the deck. Usually I will receive an impression of their state of mind from doing this.  * Psychometry - Psychic sense from holding an article familiar to someone. Sometimes quite vivid impressions can be gained. Now I spread the deck face down out across the cloth in an arc and ask the subject to select and hand me a card. Naturally if you do not allow others to handle your pack you will have to select the cards for them. Of course before this point you need to know what type of spread you want to work with. As your subject hands you each card turn it over and lay it down in its order/position in the spread. Continue until the spread is complete. Now start interpreting the spread. Don't think, don't analyse, just let it flow. It may not make sense to you - it doesn't have to - It is not your reading! These Tarot Card Reading Instructions are a broad guide only. Actually, you will find that most readings take on a life of their own. Of course you will tailor the reading to the person you are reading for, but be warned, appearances can be deceiving, so let the cards do the talking. 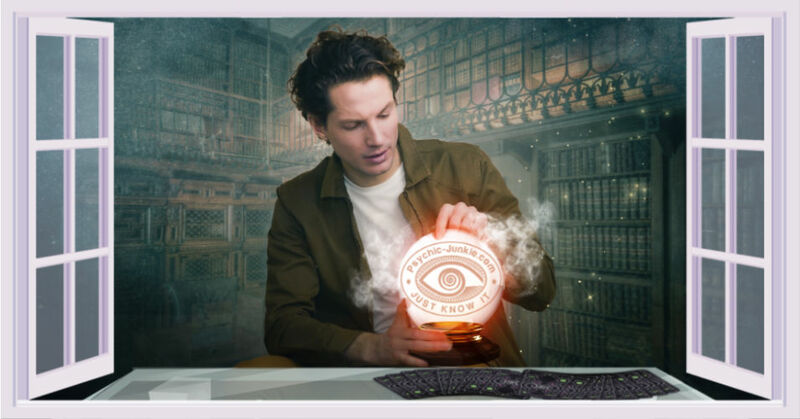 It is all very well to have your tarot card reading instructions by your side, but when it come to a real reading, you are reading for people, and usually people you do not know. An understanding of people is most important because your clients have come to you for advice. Whilst the advice is in the cards, its delivery is in your hands. 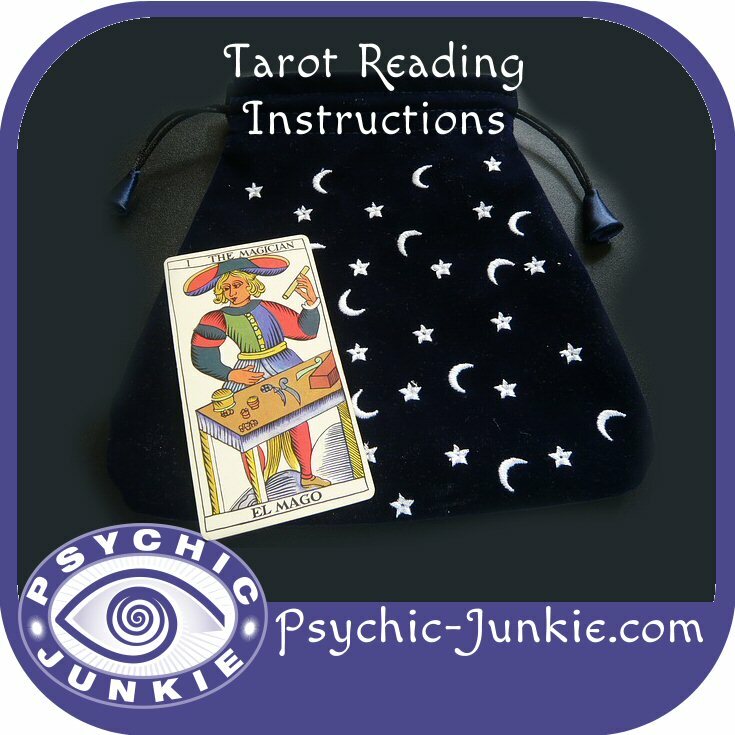 Tarot card reading instructions get you as far as the reading, then you have to deliver! If you find that you need clarification on a card, don't hesitate to ask your subject to draw another card to expand on the card in question. On some occasions I have also had my client draw cards for the past and future outcome for the same reasons. Whatever passes into your consciousness during the reading is part of the reading. Don't expect it to make sense! It doesn't have to. It is often more difficult to read for friends and acquaintances than for strangers because we think we know them so we skew the reading to meet expectations, both ours and theirs. ** We never, ever repeat anything that is said in a reading outside of that reading! What transpires in a reading stays in the reading. Same rules as would apply to a priest! After all that is how some people will regard you! Important for you that is!  - You are acting as a counsellor when you are reading someone’s cards. A certain level of detachment is important. Empathy is great, sympathy is not! When you are reading for someone else, the impressions you receive are not yours, you are simply the mouthpiece! The information and impressions you receive for some-one else are for themselves. So give them away and don't own them! Carrying around someone else’s problems is a sure recipe for disaster in your own life. You will surprise yourself reading tarot cards at just what you come up with. Things you 'see' as interpretations of impressions you see on the cards will amaze the person you are reading tarot cards for. "How could you have known that! ", is often a reaction you will receive. (However, you may have no idea what they are talking about. After all it is their reading). Don't put your reality in there - it is your clients reality you are describing when you are reading their tarot cards. I hope these tarot card reading instructions are of some help to you in what is a fascinating field.